This is said to be the most common type of haunting reported. A residual haunting is one that plays itself over and over again, as if a movie stuck in a loop, when the environmental conditions are correct. It is believed that the actual environment might be able, under the correct conditions, to record the emotional energies from an event. This is why you will see during our actual investigations or even on TV, local physical conditions are always examined. We are looking to determine the content of local stone around the site as well as underground water for conductivity. It is believed that these conditions can stimulate paranormal activity. The best example is an experiment that I read about from a pub in England. Several investigators attached electrodes to the rock walls (high amount of quartz) and applied electricity to them. The building was left vacant until the following day and when the recordings were analyzed, they revealed several EVP’s, including a clock’s distinct ticking (none were present), sounds of glassware clicking together (again location was empty) and sounds of conversations. Which brings me to a point that residual hauntings can have both visual and audio elements to it. The apparitions in this type of haunting are unaware of our presence and cannot communicate with us, rather these hauntings seem to be on a timed schedule with no awareness of time or space. However, an EVP session can obtain voices and noises that were also recorded in the environment at the same time as the apparition. With this type of haunting there would not be any intelligent interaction between the investigators and the apparition, just the recorded sights and sounds. It is possible to have both a residual and intelligent haunting happening in the same location. Now, since the environmental imprint happens due to a “live” situation or event, it stands to possible reason that a person experiencing a traumatic happening in their life could actually cause their own imprint and then relive it as an observer once appropriate conditions were met. This would be as if they were “haunting” themselves. This is a long held theory of mine and actually relates to one of our previous cases. In an intelligent haunting, the ghost/spirit is aware of our presence and of its surroundings. Many times in this type of haunting the ghost/spirit will communicate with the living with various methods. These types of hauntings can also be awoken by the remodeling or construction tasks performed on an old house or building. The theory here is that an intelligent haunting is reacting to the changes in their environment, perhaps not liking the changes and letting you know about it. However one thing needs to be remembered with all suspected hauntings, and that is that there is simply no way to force an entity to interact with us. Just because we may not capture any evidence to support a client’s claims during a single visit does not mean that there is nothing there to collect. 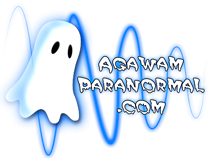 This is why Agawam Paranormal will usually recommend several visits to the site. A demonic haunt is one of the least common and least documented types of haunting, and yet the most disturbing. It is thought that a demon has never had a human form nor is a demon from this world. A demon has extraordinary strength and has been said to be able to throw people through the air and attack them physically. A demon can take on any type of shape and it is thought that the demon’s reason for existence is to breakdown a person emotionally so as that they can possess the person. This is the strongest type of haunting and if suspected, the Agawam Paranormal team will always recommend the client’s church or place of worship become involved. If this is not possible then we would recommend a demonologist be contacted by the client. Hollywood enjoys this type of activity as it makes for some pretty good movies (ok, some pretty bad ones too). But remember that this type of activity is extremely rare as well as very few and far in between. This is an area of study that I do not want any actual hands on experience with (bookwise is good enough) and will always defer to an expert in these matters. This is a completely different field of study from paranormal investigations. There are actually two schools of thought concerning poltergeist activity. One believes that there is nothing spiritual, ghostly or demonic present. The activity is completely psychokinetic in nature and not paranormal in the spiritual sense of the word. These cases usually involve a child just entering puberty, most times a girl, and tend to end on their own, upon the child exiting puberty. Cases of this nature may involve levitation, objects being thrown, scratches and bruises appearing on the child. The child seems to be the target in most cases documented. However, remember that the child is actually suspect to having caused this activity. The other school of thought here is that it is a demonic or intelligent haunting. All of the same occurrences can take place, again usually with the child being the main target. There is a well known case called “The Enfield Poltergeist” that took place in Enfield, England in the 1980’s that makes for some pretty interesting reading. Since there were multiple witnesses to this case, including local police that actually witnessed a chair levitate and then move across the kitchen floor for no reason (this event is actually in the filed police report) it does at least give some food for thought. Check it out and let me know what you think and believe.